Universal has give it's newest resorts a name: Universal's Endless Summer Resort. Thinking this was too easy, they split it into two sides with their own names, Surfside Inn & Suites and Dockside Inn & Suites. 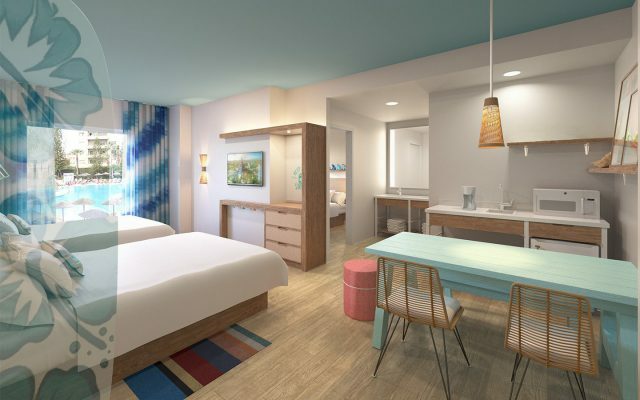 Universal's Endless Summer Resort Surfside Inn & Suite. That's a mouth full. But what they've spent on the name they're not asking for you in terms of price as these resorts have an introductory offer that starts at $73 a night for a one week stay during select dates in a standard room. While these rates will not last, this resort will round out the value resort tier with 2800 rooms, 1450 of those being suites. Suites will be competitively priced too at $111 a night for a one week stay during select nights. The rooms are beach contemporary, filled with pastels, rustic wood, surfboards, wicker, and white appliances. 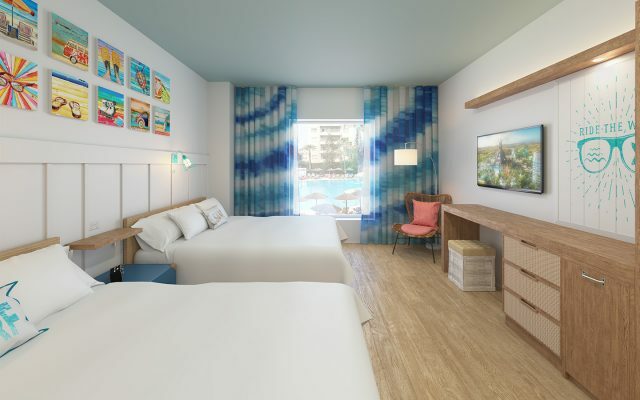 The suites, unlike those at Cabana Bay, will feature three beds (queen in the master bedroom and two twins in the common room) instead of a seating area. Surfside opens summer 2019 and Dockside opens 2020.